So you’re in Tahoe, about to drop the ski line of your life, take your kid sledding for the first time, mountain bike the ultra-scenic Flume Trail… you NEED to capture the moment. 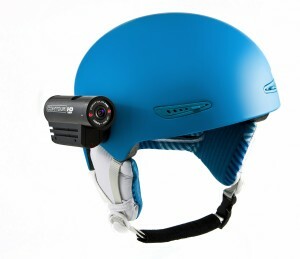 And there’s no better way to do it than with a high-definition ContourHD or ContourGPS video camera. Lucky for your wallet, we are now offering helmet camera rentals so you don’t have to throw down and buy the entire hands-free camera and its mounts. For just $40 and $45 respectively you can take one of our ContourHD or ContourGPS cameras for 24 hours. You get amazing HD video quality, and the ease of use Contour is famous for. Choose between a flat surface mount, goggle mount or vented helmet mount to secure the camera to your head, snowmobile, whatever. Plus, you get a 4 GB memory stick and USB reader so you can take your footage home to view, edit and save. Repeat renters (who don’t need another memory stick/USB reader) get $15 off.